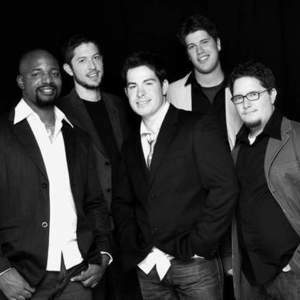 Acappella is an all-male Contemporary Christian vocal group that was founded in 1982 by Keith Lancaster, who has variously played the role of singer, songwriter, and producer throughout the group's history. Acappella is by far the most popular musical group to have come out of the Churches of Christ in the U.S. They are in large part responsible for inspiring an entire culture of a cappella musical performance in the Church of Christ. Churches of Christ members strive to worship as first century Christians worshiped, and believe one should sing 'making melody in your heart' (Eph. 5:19), instead of using musical instruments in worship. The song "Acappella" from 1986's Conquerors was the first to achieve widespread popularity within the church of Christ (it could almost be called a 'hit') and the 1988 album Sweet Fellowship has become their all-time best seller. AVB's breakout Song in My Soul was released almost concurrently, and the number of like-minded a cappella vocal groups within the church of Christ grew almost exponentially after these two albums. Acappella experienced their first mainstream success outside the church of Christ with 1993's Set Me Free. This album also had a song licensed for use in a Sony Camcorder Super Bowl commercial (with the refrain "They are more precious than gold").